What I love the most about Back to School Shopping is boys clothes! It is so much easier to pick out clothing for boys. With the classic trends returning, I love it even more! Button-up shirts, cardigans, straight leg pants, and polos – nothing looks better than a nicely dressed young man on the first day of school. It provides him with a boost of self-esteem and gives his new teacher(s) hope for the year ahead. 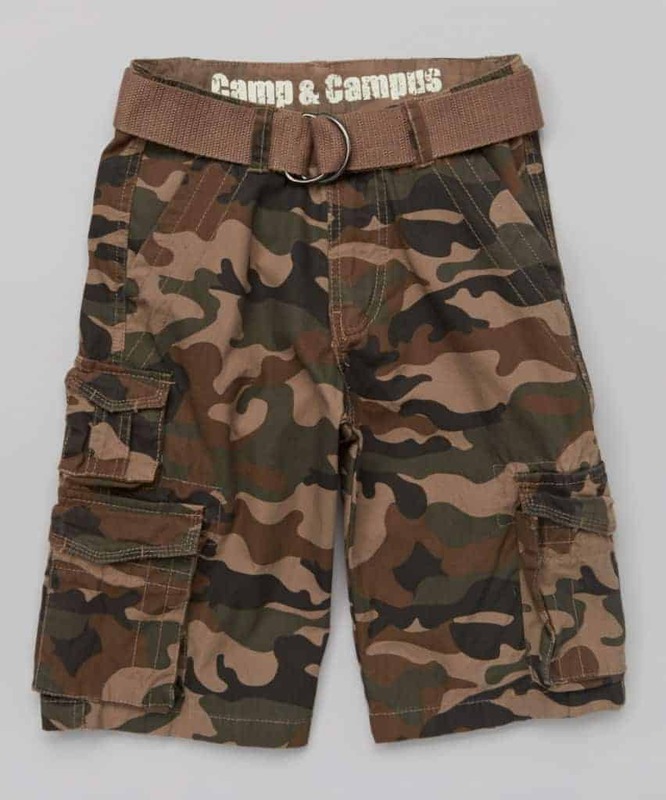 These back to school clothes for boys feature affiliate links. 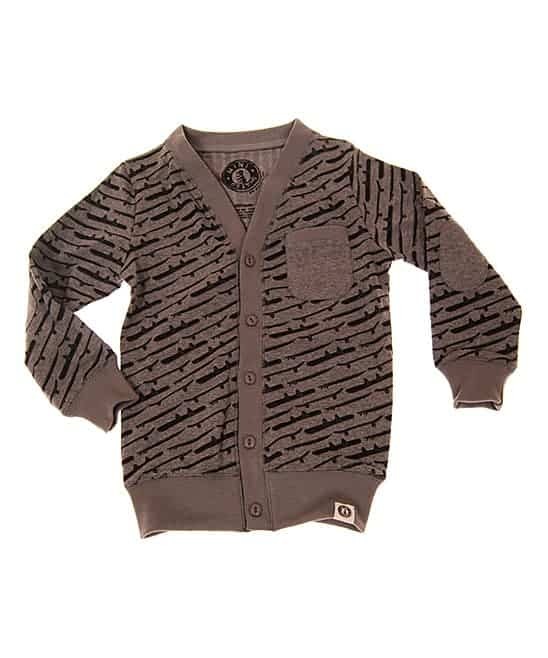 Action sports fanatics will adore this cardigan that boasts a ribbed waist and cuffs for a sleek silhouette. A breathable cotton-poly blend is enhanced with spandex for the perfect fit, while a front pocket stows tiny essentials. 55% cotton / 39% polyester / 6% spandex. 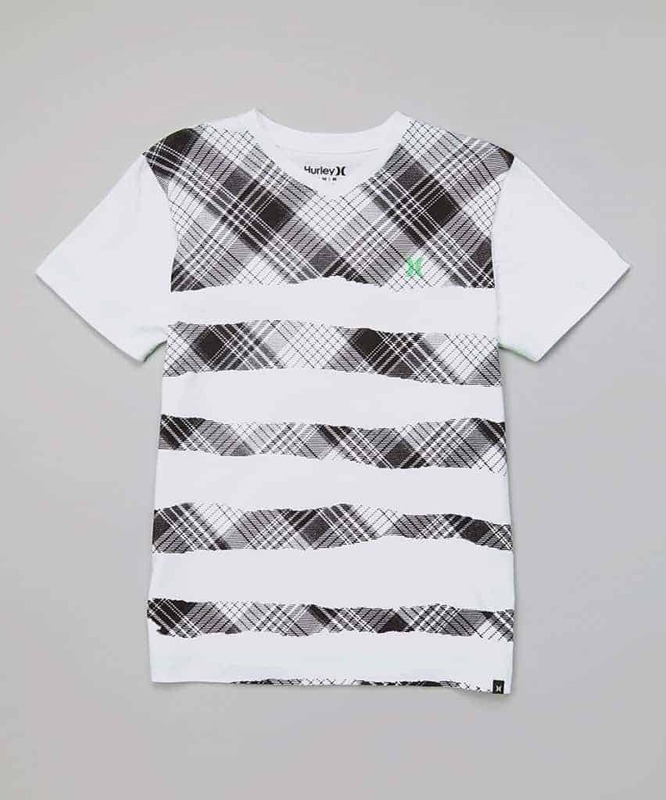 Featuring the kind of vivid, sporty graphic that Hurley specializes in, this soft, breathable tee is perfect on its own or layered under a sharp button-up. An all-cotton construction means this tee is casual, cozy and super-easy to clean. 100% cotton. These comfy cotton basics are a great addition to any denim stash. 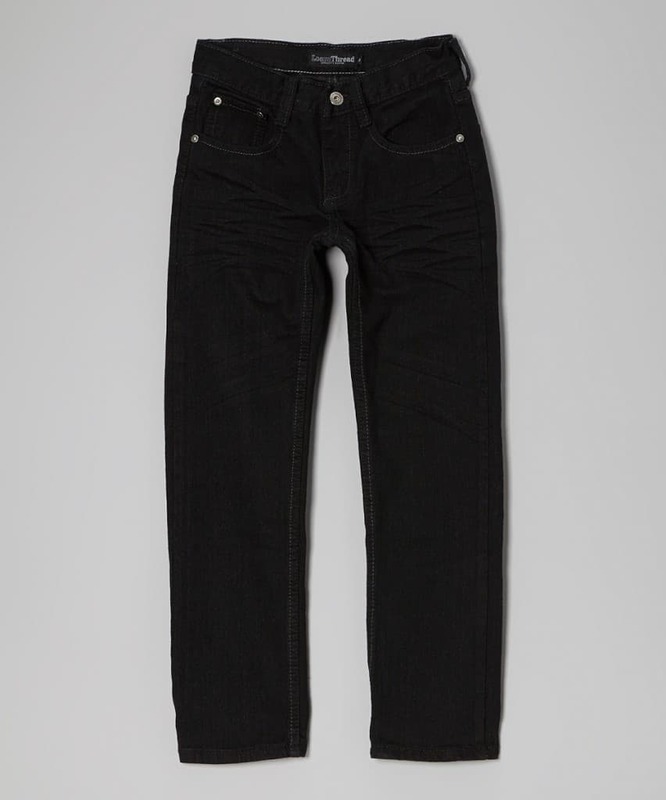 The dark rinse and straight-leg silhouette mean easy pairing with anything from a plain tee to a button-up. 100% Cotton. Kids can layer on some seriously cozy style with this sporty hoodie. 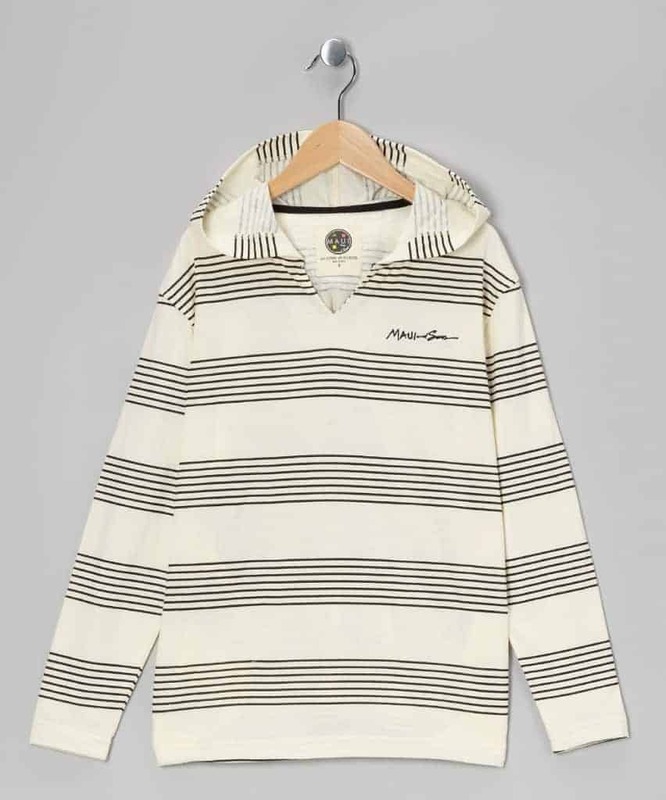 It boasts bold stripes and a toasty cotton-blend construction for a healthy dose of pop and practicality. 60% cotton / 40% polyester. Every guy needs a quality basic like this plaid button-up shirt in his wardrobe. Crafted of a cozy cotton blend and boasting stylishly contrasting cuffs, an easy fit and simple lines, it’s perfect for special family dinners, milestone photo shoots and days when gents are feeling especially dashing. 65% polyester / 35% cotton. Trendy yet durable, this pair’s back pockets are intricately stitched for added flair, while the trusty zipper-button closure makes sliding them on a breeze. 80% cotton / 18% polyester / 2% spandex. Toss-in-the-wash cotton is comfy as can be, while the giggle-generating graphic is sure to take a bite out of wardrobe monotony. 100% cotton. Built for serious play, these cargo shorts are ready to rumble. Outfit rowdy dudes in this classic pair featuring plenty of pockets for storing treasures and a D-ring belt to keep everything secure through playtime. Includes shorts and belt. 100% Cotton. Machine Wash. This classic polo is brimming with preppy appeal. A soft feel and comfortable fit make it the perfect wardrobe option for a guy on the move. 60% cotton / 40% polyester. 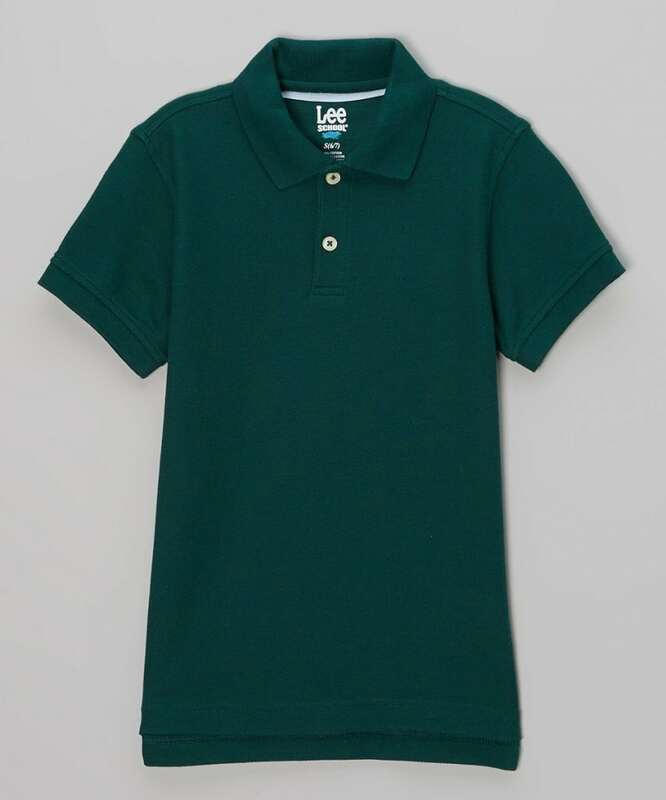 With many schools requiring collared shirts, these polos are perfect back to school clothes for boys that both fit the requirements and offer comfort. These crisp pants are a casual-day staple, boasting a lightweight cotton-blend design and ready-to-pair style. 60% cotton / 40% polyester. 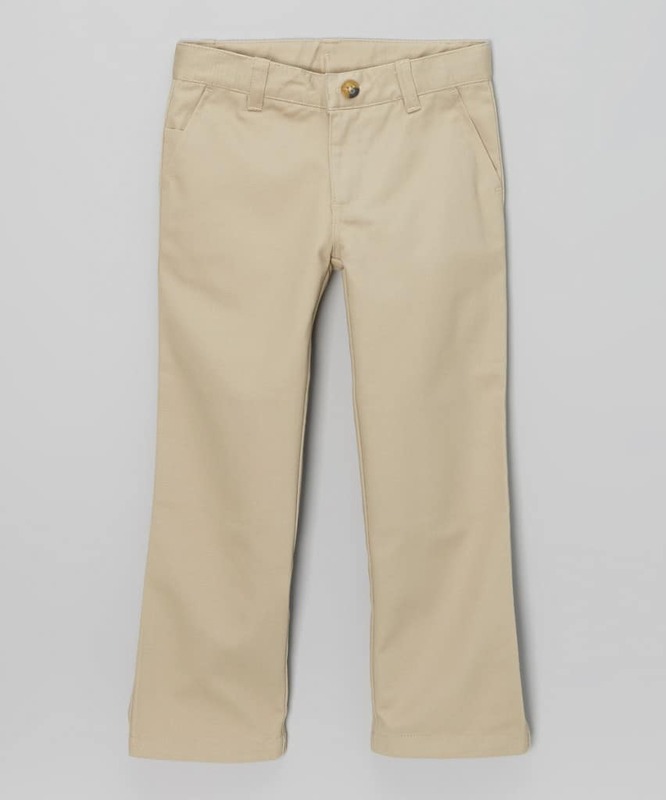 These make perfect back to school clothes for boys who are required to wear dressy pants. Don’t forget to check the Back to School deals at zulily! Looking for more back to school styles and tips? Find everything you need for the season in our Back to School section and follow our Pinterest Board. What are your favorite back to school clothes for boys? 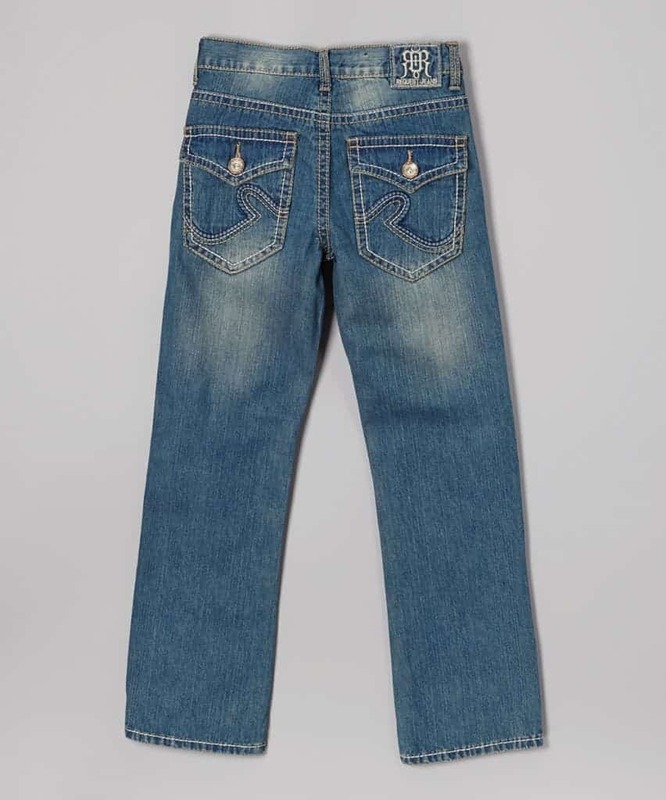 What style does your son love to wear? Omg what cute outfits! I don’t have alittle boy, but I do have lots of boy cousins who would look adorable in all this gear! Well, I don’t have any kids at home -they’re all adults – and I have a grandDAUGHTER going to preschool this fall. But these clothes look great for boys -very well-designed and appropriate. What a great well-rounded collection of clothes. Looks like boys’ clothes are looking good for fall! These tees are really cute. I have to check these for my son. I think he’ll like the cardigan, too. These are great finds. I always find it hard to shop for my son’s clothes. Thanks for sharing this. How adorable!! 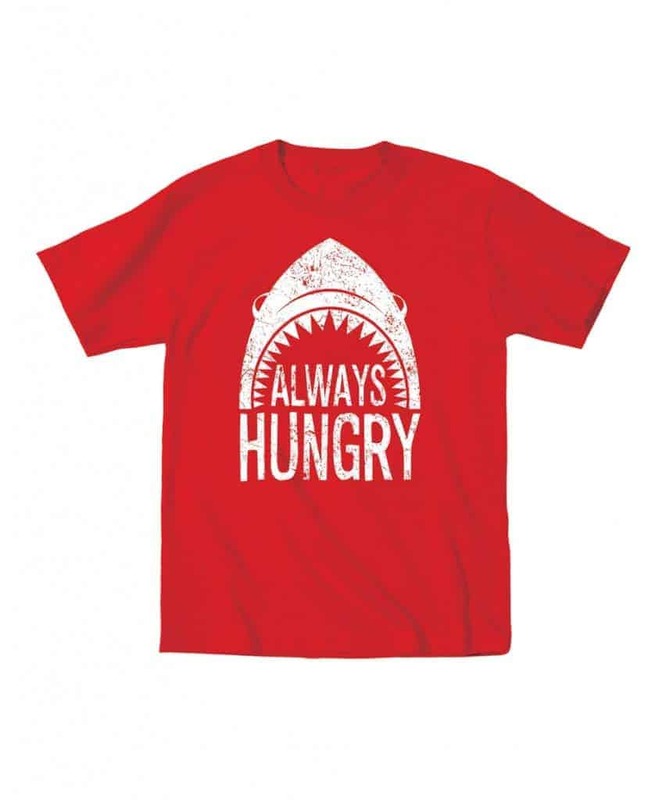 I love the Hungry Shark Shirt! Super cute. Now how come they didn’t have cute clothes like these when my kids were small? 🙂 I love finding cute clothes for my grands for school. Super cute clothes. I have three boys, only one will be heading back to school, but I love buying them all clothes. Thanks for all the options! Very cute outfits for back to school. Haha, I like the “Always Hungry” tee cuz that’s totally true with my son! He’s SO easy to shop for, thankfully. He’s a jeans and a tee kinda kid. 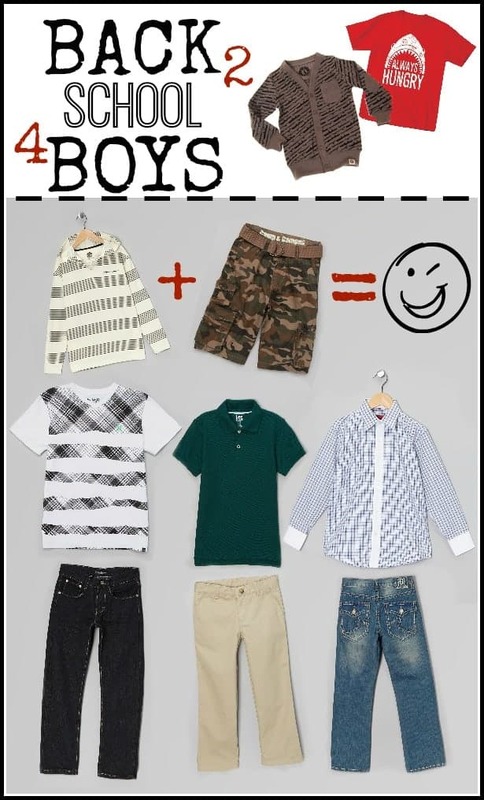 Shopping for boys can be so hard, thanks for these ideas! Such cute things!! Those are awesome looks. I need to shop for my boys, but not for a few months of course.